Why Improving Your Credit Score Should Be Your #1 New Year’s Resolution — D.R.E.A.M. Happy 2014. It's with great excitement that we present our newest guest blogger: personal finance and credit expert, Alice Byrant. We have no doubt that you will find her post both informative and entertaining. Enjoy! Start 2014 off with a fresh start by making your credit score a top priority. As a teenager or young adult, you probably haven’t thought much about your credit. You may have little or no credit history at all, making it hard to have a good credit record. But now is the time to start. Although it is just a number, your credit score is one of the most important features that factor into your financial well-being. So, if you have no credit history, a bad credit score, or even just an average credit score, now is the time to change it. Your credit score influences the credit that is available to you and the terms that lenders offer you. With bad or no credit, you look financially irresponsible to lenders. They don’t want to pay for someone who could be a liability to them, and you end up out of luck. If you have a damaged credit score, you may not be able to get the loans you need for a car, school, or even a mortgage. You may not even be able to get a credit card or get approved to rent an apartment. And if you are approved for these things, you will end up having to pay a lot more with high interest rates, shorter due dates, and more penalties. Bad credit scores have a major influence on your financial decisions. A good credit score, on the other hand, results in a lot more financial flexibility. For one, you have a much better chance to get approved for loans or credit cards. Furthermore, you will qualify for much lower interest rates and pay less finance charges on credit card balances and loans. As a result, having a good credit score is much cheaper for you in the long run. You can easily get extra perks for being financially responsible with a good score. You can get approved for increased credit card limits, easier approval when renting properties, better car insurance rates, and even better deals for credit cards and loans. Having a good credit score is important if you want to have control over your finances. 1. Start building your credit as early as you can. If you are younger than 18, there are many options for you. Open a savings and checking account with the help of your parents, and start placing your money in these bank accounts. Ask your parents to cosign for a credit card. They can apply and add you as an authorized user, so you can start building credit in your name. You can also ask your parents to cosign on an installment account, such as a car or personal loan. By paying these monthly payments on time, you will easily build credit. If you are 18 or older, you can apply on your own for credit cards and loans and start working on your credit history. 2. Check your credit score. Many people do not know their credit score, making it impossible to know their progress. You can request a free copy of your credit report each year from AnnualCreditReport.com. This report will show you your credit score for each of the three major credit reporting agencies: Equifax, Experian, and TransUnion. Make sure there are no errors and examine your progress. Although you may have little to no credit now, know where you stand, so you can take your credit score into your own hands and work to improve it. 3. Once you have a credit card or a loan, make your payments on time. 35% of your credit score, the largest portion, reflects your payment history. So, always make the minimum payment on your account rather than missing a payment and catching up next month. If you have a hard time remembering, set up payment reminders or automatic transfers. Furthermore, pay off your debt. Keep your balances low on credit cards and “revolving credit.” When you have a high amount of debt, your credit score suffers. If you are able to, pay off as much as you can instead of moving your debt around. 4. 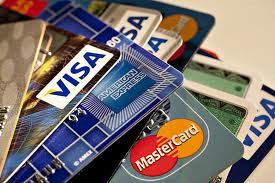 If you are unable to use credit wisely or you want to start out with a financial cushion, use a safe credit card. Having and using a credit card will build your credit score, but only if you use it right. Check out secured credit cards or credit cards for students. These cards can help you build your score responsibly, while limiting your spending and giving you some financial protection. Stop letting your credit score fall by the wayside. With the New Year ahead of you, now is the perfect time to re-prioritize. And improving your credit score should be at the top of your list. Alice Bryant is a personal finance and credit card expert who also contributes regularly to Creditnet. Creditnet is an authority credit card comparison site that offers innovative comparison tools to help users find the best credit card for their needs. In addition, the Creditnet Credit Talk Forum is a community of over 100,000 members that discuss credit cards, credit, debt, and credit repair daily.